No Contributions over $100.00, Please! Brian Kelly believes that a candidate for people's representative for Congress should not have to be beholden to any person or group of people and so campaign contributions are being limited to $100.00. Please do not send any contributions in excess of this so that the candidate can avoid the expense of sending checks back uncashed. When the Web site is operational for accepting credit card contributions, it will have the limit built-in Thank you. If you want to learn more about Brian Kelly's position on a number of vital issues, feel free to scan the rest of this site as the full platform and Kelly's opinion on a number of important issues can be found right here. For many years Brian Kelly has written technical books about IBM's large computer systems. Most of his 179 books are highly technical in nature and are not appropriate reading for those who are not technically inclined. If you would like to buy a Kelly book, feel free to go to Amazon. amazon.com/author/brianwkelly. There are lots of Sports books there besides rivetting current events books, If you like the Eagles, Pittsburgh, New England, SU, PSU, ND, Army, Alabama, Florida and others, there is a great Christmas book waiting for you at the above Amazon address. God bless you. In 2008, during the Bush Administration, concerned about the unresponsiveness of both houses of Congress and other elected officials, Kelly penned the ground-breaking book, Taxation Without Representation: Can the U.S. Avoid Another Boston Tea Party? This book is available at a number of outlets including Amazon.com. In early fall of 2009, because a number of chapters of the 2008 book had been dedicated to the issues of the 2008 campaign, Kelly chose to revise and restructure this book, and this work resulted in the December, 2009 release of three new books. The first is the revised version of the 2008 book known as Taxation Without Representation: 2010 - 2011 Edition. 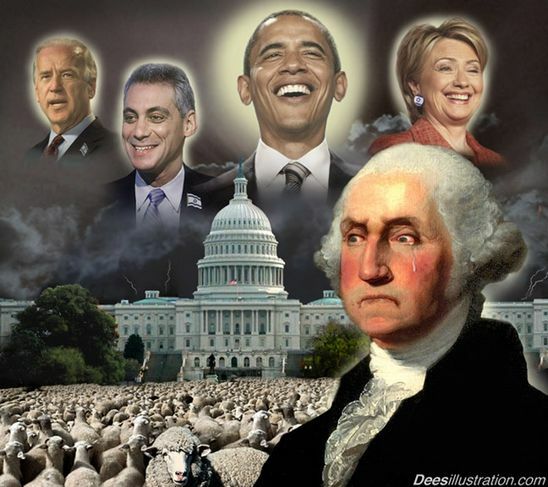 The second is Obama's Seven Deadly Sins. The third is Healthcare Accountability. Since the 2010 campaign, Kelly has written two more books, Jobs! Jobs! Jobs! and Americans Need Not Apply! During the revision of the taxation book, Kelly indended to write a short chapter on Obama times. To get attention, he decided to call the Chapter Obama's Seven Deadly Sins. He could have called them mistakes but in many ways they represent the grievous faults of the administration. The chapter was to reflect a number of major differences of opinon between candidate Kelly and President Obama. When the chapter reached several hundred pages, it was obvious that Kelly had himself a new book. When the Seven Deadly Sins book came back from the editor, Melissa Glosser Sabol from Plains, PA., it had a few large pieces missing. The editor suggested the parts she excluded be the beginning of yet another new book, and that is the origin of the Healthcare Accountability Book, which is now available for sale. The only source that carries all of Kelly's current books is www.itjungle.com . Click on the store button on the top and the new books are at the bottom of the page. Another distributor, Amazon.com carries some of Kelly's books. The candidate does not distribute or sell his own books. Feel free to purchase any of the books of which you are interested as it is one of the sources of Kelly's livelihood, and all help is appreciated. Becoming a machine politician, accepting large sums of other people's money to advance a personal goal to help anybody is not Kelly's idea of Democracy. Brian's intentions are to get by with very few expenditures, get on the ballot, and outline his positions on the people's need to triumph in this election. After his campaign for congress, Kelly is more astute and knows that he needs small donations from the people in order for his campaign to the people to be heard and understood. Unfortunately, running for public office requires that as many people as possible in the state of Pennslylvania need to have a clue as to who Kelly is and media outlets are not quite willing to give such data away for free. Kelly will engage in debates and/or other forums where he does not have to expend much of the finances that he has decided to to accept in this campaign. He will need things such as fliers, business cards, signs, newspaper ads, a few radio and TV spots, and an engaging web site. In April, 2011, Kelly Released his newest book Americans Need Not Apply! You'll really like this one for sure, especially if you have recently lost your job. Feel free to register for this site when it is available and then you will be able to participate in the Kelly for US Senate Forum / Blog. That should be fun when it is operational.